We all have emotional and psychological needs in our role. I believe that in our roles we all have the need to feel safe and secure, the need for friendship and a sense of belonging, the need for what is physiologically necessary (e.g. sleep, food, water etc.) and a need to feel valued. It is only when these basic needs are met that we are more able to perform at our best, flourish or “self-actualise”. This may ring true to you, if you’ve ever experienced the reverse, for example, how hard it is to perform at your best when you’ve not had enough sleep or the difficulty of remaining motivated when you feel unwanted or undervalued in your role. Working with school leaders, I’ve certainly witnessed how the extent to which these needs are met can often determine our willingness to take risks, how fulfilled we feel in our role and in turn, how likely we are to stay in our role. It can also affect school performance as there’s often a connection between these emotional needs and both our cognitive function and motivation. 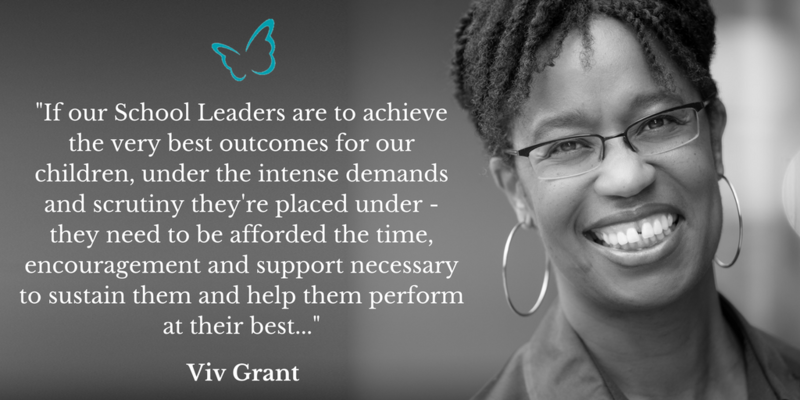 Yet in many schools, the most visible forms of support that our leaders and staff receive is concerned solely with meeting the strategic and operational needs rather than these emotional needs. When this is the case, schools not only fail to support the flourishing of individuals, but can become functional and soulless places rather than the nurturing and joyful places that they can be. But how can we stop this being the case? I believe the first step is that leaders themselves must first be able to recognise the importance of meeting their OWN needs (and the impact this has on their own performance) as it is only when school leaders are able to recognise these emotional needs as an absolute priority, that often they can effectively begin to develop supportive and nurturing cultures which work to support the meeting of the needs of every individual in the school. I argue this as whilst the onus of changing the culture is a responsibility for everyone involved in the school, leaders are often best placed to begin the process of changing the culture of a school through implementing support initiatives, structures and above all, setting the example by managing their workload and modelling self-care so as to encourage staff to do the same. But what does a supportive school culture look like? Well, I believe such cultures have four recognisable traits that help these schools to best meet the needs of every individual. Responsibility for success does not rest on the shoulders of a few, everyone understands what it means to be accountable and the valuable role they play in the school in bringing about the school’s goals. In these schools, the entire teaching staff & school leadership know what is required of them and everyone is working together towards a common vision. For this to be successful, staff must recognise that every individual is made to feel they have something to offer the school and an important role to play in bringing about the realisations of the school’s vision. When this is true, everyone feels their skills and qualities are recognised and their contribution is valued which helps to nurture the self-esteem of every single individual. In these schools, no-one is working for themselves, no-one is left out and so there is also a shared sense of belonging and collegiality. School culture can hugely benefit when everyone is encouraged to have a voice in the school, how it is run and how pupils learn. This is a culture in which people feel safe to express their point of view without judgement and can trust that their views will be respected, even when there are differences of opinion. In such schools, meaningful dialogue can be had to work towards a more united future for their school and everyone feels listened to. For this to happen, there must be respect between everyone in the school and a realisation that it is what makes us different which makes us unique and special. This helps to nurture a feeling of safety, acceptance and belonging in schools as everyone feels more able to be themselves. An important ingredient of a great school culture is a care about the emotional and psychological well-being of not just their pupils but their colleagues too. 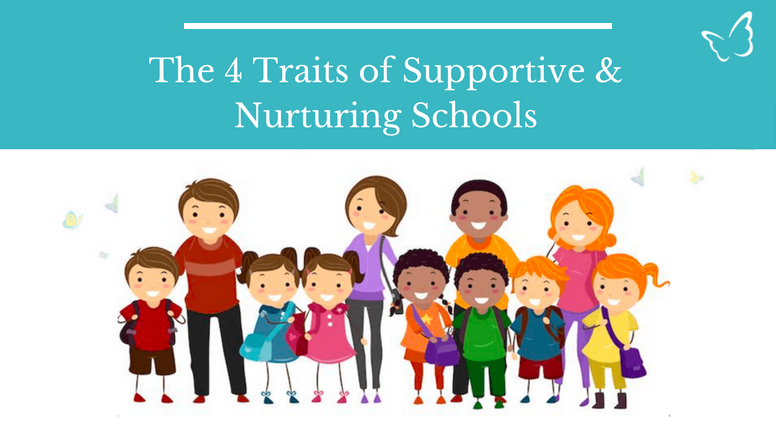 There is an acknowledgement that well-being and school performance go hand-in-hand and so individuals look to support to one another in more than just the strategic and operational aspects of their roles. As such, a great school cultures look to find ways to enable all staff to have a work-life balance, so that they can have a fulfilling life outside of school. The growth and development of both school leaders & staff are supported by coaching. Everyone has a safe space to reflect on lessons learnt and are supported in overcoming the challenges of their respective roles. In a school culture in which coaching plays a prominent role, individuals are more connected with their passion and school leaders are more equipped and confident in bringing out the best in others. Coaching ultimately allows school leaders to fulfil their vision for their school and develop and nurture school culture which they look to create. Coaching supports the nurturing of the human needs by helping the individual to develop new ways of thinking and being that support their well-being, build greater resilience, form more successful relationships and above all, find ways to help them to perform consistently at their best. How Can I nurture a Supportive School culture? I believe that creating a school culture which supports, nurtures and empowers cannot occur if the leaders who run our schools are not supported, nurtured and empowered in their own roles. It is my belief that every school leader should have access to forms of support to help them stay connected with their passion and vision and which provide a space for them to “drop the leadership mask” and reflect on their leadership and talk through difficult situations, how they’re feeling and find solutions. Particularly amidst the growing emotional cost of leading, the complexity of the role and heightened pressure of being a school leader, this form of support is not just helpful – it’s vital. Social workers have supervision to help them process their toughest cases, and corporate executives have space for “lessons learned” and continuous improvement between projects. However, often such support can be one of the hardest things to find as a Headteacher. That’s why I am now offering free “Coaching for The Soul” support calls for school leaders to ensure that no School Leader has to struggle to find the support they need. – Reflect on recent events and the impact they have had on you as a leader and as a person. Places are limited – so if you are determined to take charge of your own well-being, book today to avoid disappointment. Managing your Workload – Is Your Working Style Hindering you?